Imagine going to Target, filling your cart with products, then ditching it by the door and walking out empty-handed. That’s what ecommerce shoppers do more often than not. Unfortunately for Internet merchants, most are Looky Lous who never actually buy what they put in their carts. This year alone, online shopping cart ditchers will bail on some $4 trillion dollars worth of potential purchases. The proof is in the virtual wasteland of deserted online shopping carts. A staggering estimated 69 percent of them get abandoned, according to the Baymard Institute, kicking e-tailers where it hurts. Why do so many online shoppers leave without paying? Research points to everyday frustrations that most of us can relate to — unexpected shipping costs, payment security concerns and, yuck, the hassle of having to create yet another new user account. And the list goes on. To fight back, to nudge shoppers to purchase what they put in their carts, eliminate the aggravations that send send them packing in the first place. Your best bet is to perfect your checkout page. How? Make it as quick and easy as possible for existing customers to login and pay, and for new ones to checkout as guests. Offer multiple shipping options and be upfront about the costs. Reassure shoppers and demonstrate how safe your payment processing is. For more quick tips on how to craft, test and refine an effective checkout page, take a look at the infographic below by VWO, a Delhi, India-based provider of A/B testing software for online marketers. Θέλετε να βελτιώσετε τη διαδικτυακή σας παρουσία, να βρείτε νέους πελάτες & να μεγαλώσετε την επιχείρησή σας μέσω του ίντερνετ; Tο Grow Greek Tourism Online σας προσκαλεί να δείτε πώς το ίντερνετ μπορεί να ωφελήσει τη δική σας τουριστική επιχείρηση. Χρειάζεστε επιπλέον υποστήριξη για τη βελτίωση της διαδικτυακής σας παρουσίας? Καλέστε την ομάδα του Grow Greek Tourism Online ή αναζητήστε διαφημιστικές εταιρείες, πιστοποιημένες από τη Google, με εξειδίκευση στη διαδικτυακή προώθηση τουριστικών επιχειρήσεων. Optimising your landing page for potential customers is key to acquiring your return on investment. It’s not easy optimising your landing page because it can differ from business to business. Some customers want concise information, while others want as much as possible. So getting the right balance can be tricky job and takes a lot of patience and trial and error. A project by Alex Cican that shows you how much time you’ve spent watching TV shows. Make sure you test out the “Share result” button as well! How much time have you spent? I spent around 60 days of my life! E-commerce conversion is influenced by many different factors, including some you probably know already: price, selection, and ease of checkout, for example. However, conversion also depends greatly on personal factors like the visitor’s level of commercial intent, what brought them to your store, what they’re exposed to in your store, and even external factors like which device they’re on and what distractions they might have. How can you optimize for all of these different elements to convert more visitors to buyers? Slow page loading time is a conversion killer, but that’s not the only drawback. According to Google, improving your load speed boosts user engagement, retention, and conversion. Optimize your site for easy navigation and product discovery. Use clear category structures to optimize navigation for your shoppers. Test your internal search for accuracy using direct match keywords, as well as terms people looking for certain types of products might commonly use. Optimize your homepage with top-selling products and refer visitors to similar, complementary or also-purchased items from your product pages. They’re already your best-selling products – chances are good that your new customers will love them, too. Use banners, pop-ups and pop-outs, and a recommended products section to highlight the items you’ve identified as most popular. Reassure customers as soon as they land on your site that they’re in the right place. Use headers or slide-outs to confirm that you ship to their country. 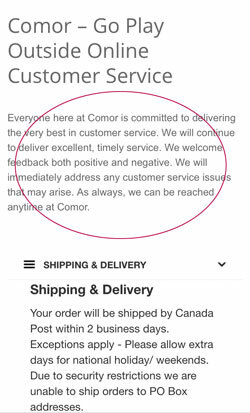 In this example from OnlineShoes.com, you can see that a visitor from Canada is immediately reassured that shipping is available to their location, breaking down any potential barriers around location. Trust is a huge factor in a customer’s decision to make a purchase or bounce; 70% of consumers will terminate a purchase if there’s a lack of trust. Be 100% credible and trustworthy in the eyes of your visitors to convert at the best rate possible. At a bare minimum, display your phone number and email so shoppers with inquiries can easily contact you – 91% of European retailers have this down. However, only 18% offer access to live chat; the vast majority are missing out on an opportunity to provide support in real time, as shopper concerns arise. Give shoppers the option of using the payment method they’re most comfortable with. Some people just don’t like using their credit card to shop online and won’t convert no matter what you do, if that’s your only available method of payment. Alternatives like PayPal can help increase the comfort level for those hesitant shoppers, increasing your conversion rates. Consumer reviews are huge, and I mean HUGE – 88% of shoppers trust online reviews as much as they trust personal recommendations! A recent BrightLocal survey also showed that only 10% of people completely ignore reviews. Different review software comes with different functions, but at the very least, you want all reviews pulled in and displayed, with reminders to customers to leave reviews after purchase. 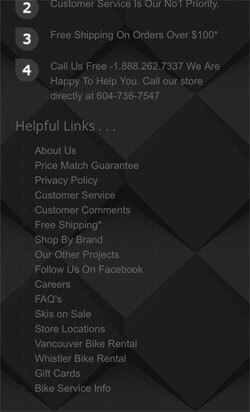 Your online store’s product pages are a critical juncture for conversion optimization. They’re an opportunity to convert the visitor on that product, but on others, as well. Optimize product listing videos and images. High quality images and video can be extremely compelling in the moment of decision-making. They can demonstrate a product’s different uses, answer questions about quality and more. Optimizing these rich media elements means ensuring good quality for visitors, but also making them accessible to search engines, as well. Use descriptive alt text to tell users what the image is in case it doesn’t render, and to tell search engines about the product. For example, “garden hose” could be used as an image’s alt text, but “18-foot durable vinyl-reinforced retractable garden hose in green” gives both visitors and search engines a far better idea of what the product actually is. Create a sense of urgency with pricing strategy. By showing a limited number of items in stock or a limited time sale, you can create a sense of urgency to purchase now versus waiting to make a decision. You can also use comparative pricing or show markdowns to tap into the fear of missing out, a powerful motivator in e-commerce. No one wants to miss out on a deal! In the above example, you can see the retailer is using comparative pricing with “Save $3.01” to motivate visitors to convert. They’re also offering free shipping on orders over $75 to help increase average order value. Be specific and optimize product descriptions. Optimize your product pages with compelling descriptions using keywords and phrases people will actually use to find products like yours. You want your descriptions to appear in site search and search engine results. Overcome objections with real-time offers. Again, once you set up these campaigns to target specific behaviors with Commerce Sciences, these offers will appear to site visitors who will find them relevant. Of course, all of your e-commerce optimizations are for naught if your visitors get hung up or turned off in the process of checking out. Almost half of all online orders now include shipping; e-commerce retailers have realized that charging for shipping kills conversion. Free shipping is so important to shoppers that in a recent E-Tailing Group survey, 73% of respondents said it was “critical” to them. Be specific with button text. Costco makes good use of the buttons in their shopping cart – no surprises here! 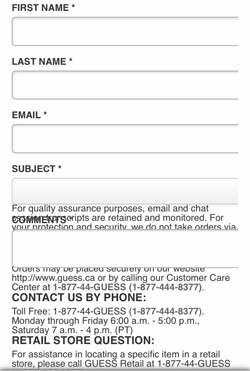 Enhance the user experience with pre-filled forms and information memory. Don’t make users fill out information twice. Visitors who encounter validation errors should be able to see clearly where they need to make a correction and all other information should stay populated. Enable account registration with purchase for ease of use in future. Make account registration an optional part of checkout, to ease future checkouts. If you’re going to do this, though, ask only for information you truly require to keep the form short and simplify password selection. E-commerce conversion optimization means making your visitor’s shopping experience intuitive and seamless, from site entry to checkout and everywhere in between. Real-time behavior tracking and personalization enables savvy online retailers to adapt to their visitors’ changing needs, state of mind and preferences, in order to convert. We know A/B testing is critical to ecommerce success, but it’s understandably intimidating for smaller retailers. Even though 75% of the internet retailing Top 500 use an A/B testing platform (Econsultancy) and it’s a recognized best practice, it can be difficult to get started. Accurate measurement of performance differences. It’s the best way to determine what is and is not working. A/B testing helps you decide how, when, and where to spend your budget. 1. Use heat map software as part of your A/B testing strategy. This software (think Crazy Egg, among others), can give you a clearer understanding of how visitors engage with your website. 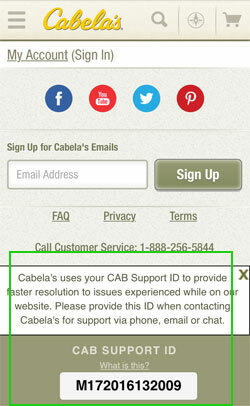 This can be especially helpful if you’re testing ways of flowing visitors through your shopping cart, for example. 2. Run a survey with current customers. 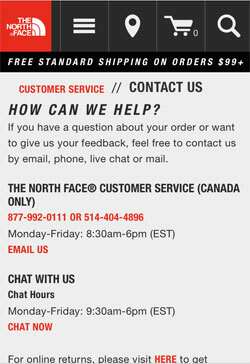 What better way to get firsthand feedback than to speak with people who purchased from you in the past? Ask for their opinion on two (or more) ideas. This will give you a better understanding of which is preferred. This may not be the only analytics application available to webmasters, but it is one of the most popular. You can use the data to your advantage when A/B testing. 4. Experiment with A/B testing your color schemes. 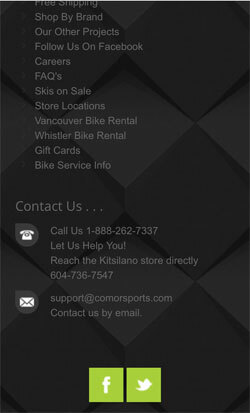 Did you know that color can affect conversion? Experiment with a variety of different colors, each time testing to see which shade generates the best results. 5. Make changes to your layout for ecommerce conversion optimization. It’s easy to get stuck in your ways. While you may not want to tear down and rebuild your entire site, making subtle layout changes based on your test results can go a long way in helping you better understand what your visitors are looking for. Sometimes all that’s needed is breaking down of perceived roadblocks on the path to conversion. 6. A/B test a variety of images and video. Images (and video) can have a huge impact on your conversion rates. Test a page with no images and video against one with a single image, multiple images, an image and video, etc. Once the test is complete, you will know how to use this form of media moving forward. 7. Run A/B tests on small changes. Sometimes it is the smallest changes that yield the biggest results. For example, changing the color of a headline may have a bigger impact than redesigning the entire layout. Start with small changes and then build out from there. 8. Experiment with a variety of ecommerce content. No matter what you are selling, visitors will typically read your content before making a buying decision. Experiment with different product descriptions. Is shorter better? Will more details improve your conversion rate? You won’t know the answer until you test different types of content. Major ecommerce retailers like Amazon test to determine which optimizations have maximum CRO impact and you should, too. 9. A/B test your shopping cart flow. What changes can you make to your shopping cart flow to improve the customer experience? You may be able to eliminate a step, for example, that speeds up the process. Test a variety of checkout processes to determine which one decreases abandonment (which remains a major problem for many online retailers). 10. Incorporate social proof for ecommerce conversion optimization. Are visitors more willing to convert when you use social proof, such as a written or video testimonial? Online shoppers often feel better about making a purchase when they realize others have done the same. 11. Optimize the flow throughout your site. More is not always better when selling online. Test your current design against a minimalist approach. Cutting back on clutter could boost your conversion rate. A/B testing is not something you do today and forget about tomorrow. You should “always be testing” in some way, shape, or form. While doing so, be sure to avoid these 6 A/B testing pitfalls that can lead you astray. When it comes to mobile commerce, the effort typically goes into getting mobile websites and apps live and mastering responsive design, and obsessing over home page, product page, category, search, menu navigation and mobile checkout usability. But mobile customer service is too important to overlook considering 63% of US adults use mobile to access customer support several times each month, and 90% have had poor experiences. How can you shore up your #mcustomerservice? Read on. 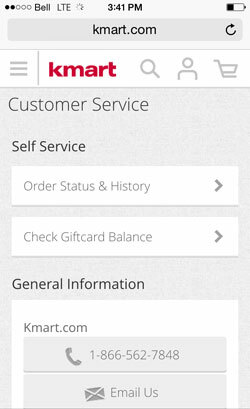 I shouldn’t have to point this out, but believe it or not, I’ve encountered mobile shops with NO way to access customer service from the mobile version of the site. For responsive sites, ensure your customer service and self-serve tools are also mobile friendly (e.g telecom menus). Ensure responsive or adaptive layouts are not only designed for your home, category, search and product pages, but accommodate all site content. Make sure you test for the most popular devices and models so the above doesn’t happen. Side-note: If you choose light-on-dark design, avoid gray type and opt for white. The example above may be impossible to read for users in low-lighting or with vision problems. Side-note 2: Between ALLCAPS and Mixed Case, opt for Mixed Case, it’s easier to read/comprehend, especially on mobile devices. And web usability is all about reducing cognitive load. Ensure there is enough space between tappable targets such as links, menu buttons, etc. According to Baymard Institute, your minimum hit area should be 7×7 pixels between link targets. 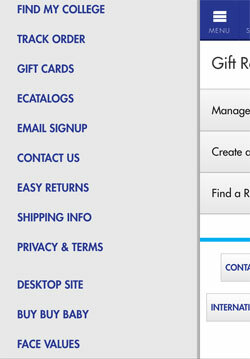 Guess’ mobile site has a native app-like bottom-anchored menu, which stays put as the user scrolls through content. This is well-optimized for hand-held use, and the Service link is most easily accessed by thumb. Mobile operating systems support click-to-call directly from text, email, paid search ads and websites. Don’t force the customer to email you. Ensure your telephone number is easily accessible wherever a customer may seek support – from navigation menus to product pages, FAQ and Help content, and of course – checkout. 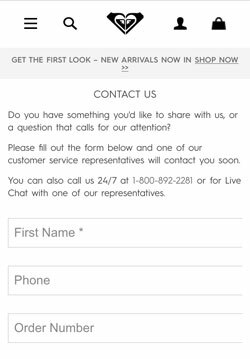 It’s a good idea to style your phone numbers the same as any link, including underline, as not all mobile users understand they can just click to call directly. 42% of consumers have used live chat on mobile, but most ecommerce sites don’t offer it. 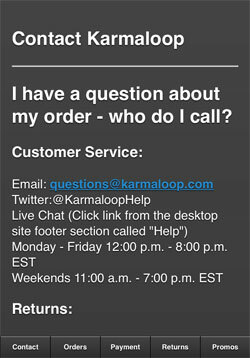 Kudos to Karmaloop for offering the feature, but a step-up would be to include the link from this section, rather than forcing the customer to scroll to the top navigation menu.